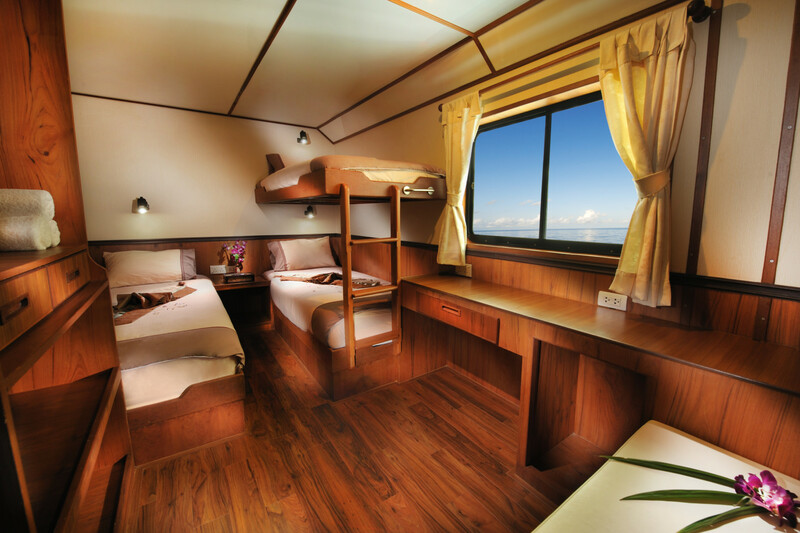 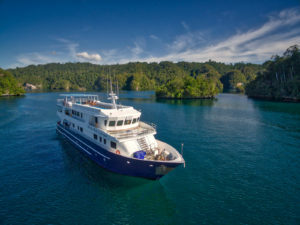 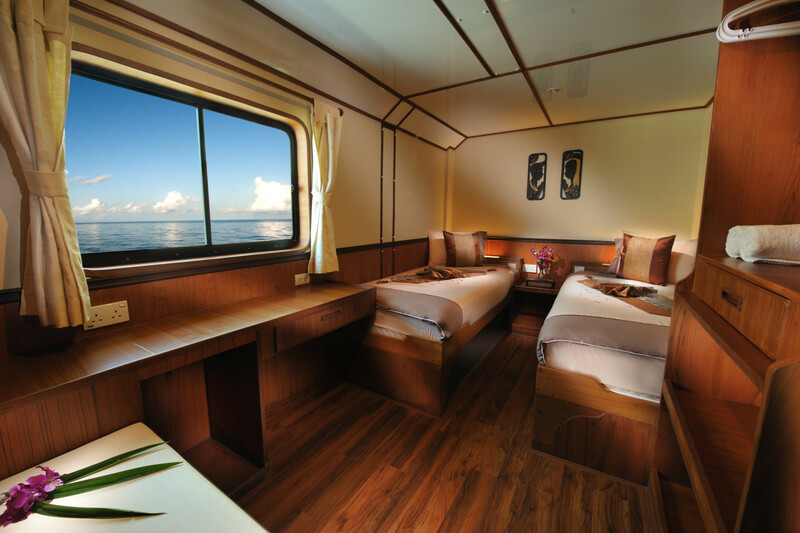 With a major makeover in 2016, the Raja Manta Explorer offers exciting itineraries through Ambon, Banda, Sangalaki, Raja Ampat and other extended itineraries. 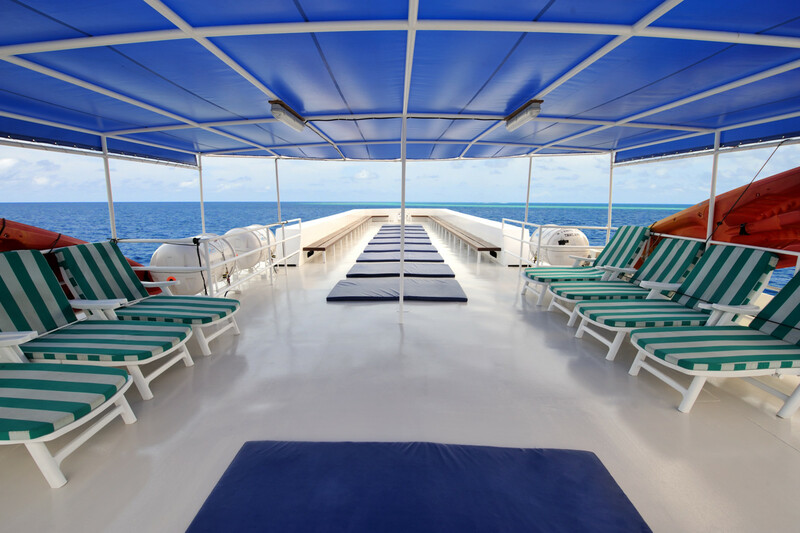 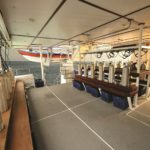 The 37 meter (121 foot) vessel is stable, strong and reliable making it perfect for long range travel to the most desirable dive sites. 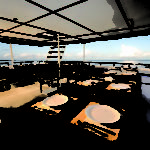 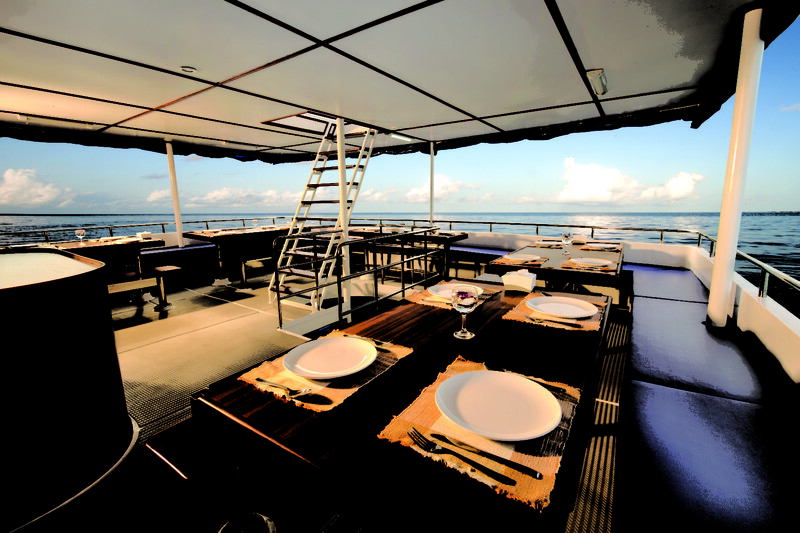 A blend of Western and Asian cuisine awaits you after every dive. 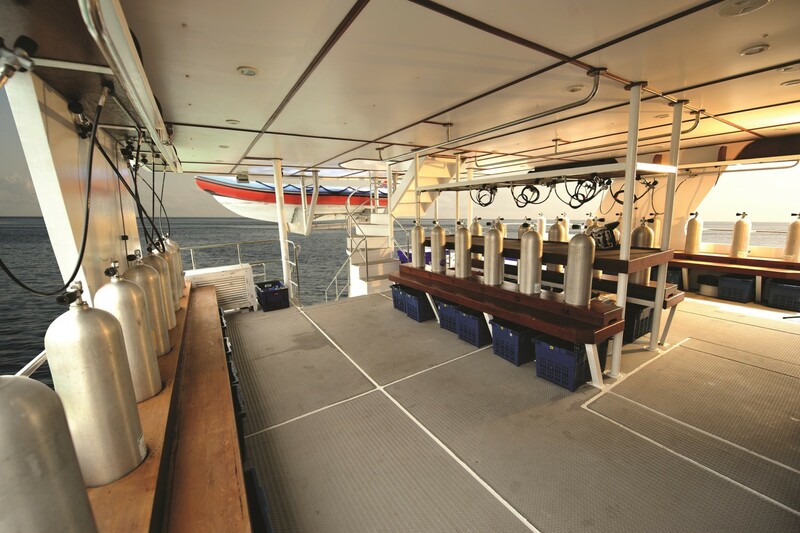 With up to 18 well-trained crew, excellent service above and below water are ensured. 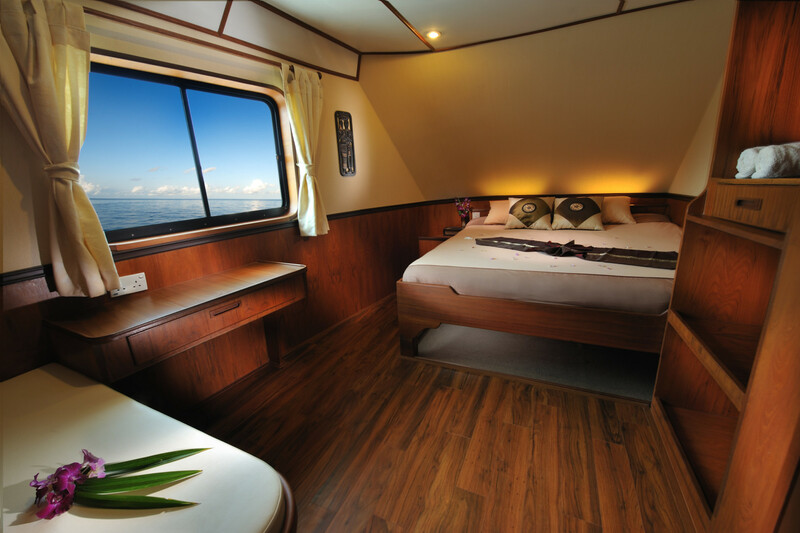 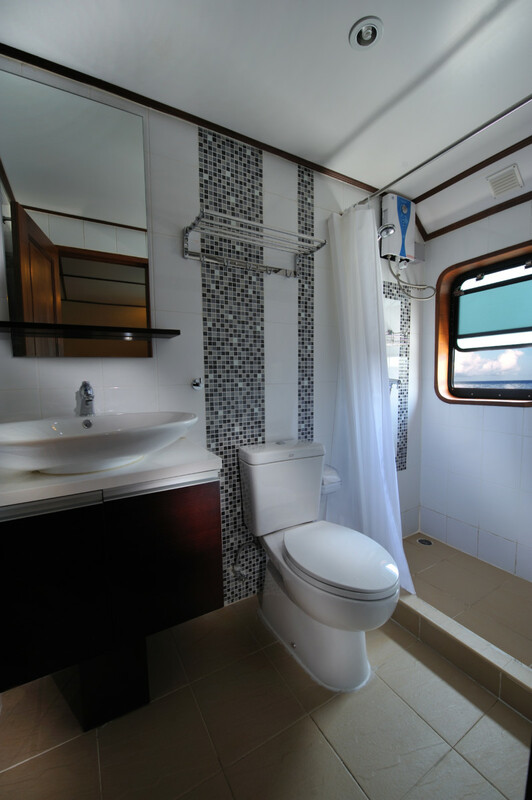 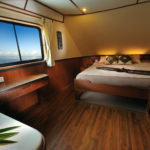 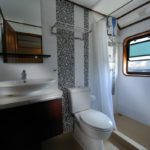 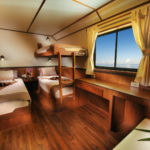 With 8 double & twin shared-bath ensuite cabins and 3 shared cabins with wash basins, the Raja Manta Explorer can comfortably accommodate up to 22 passengers. 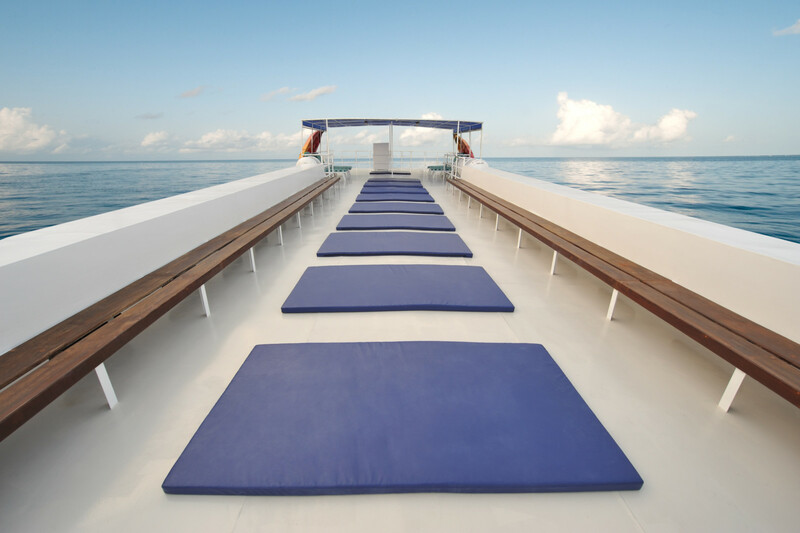 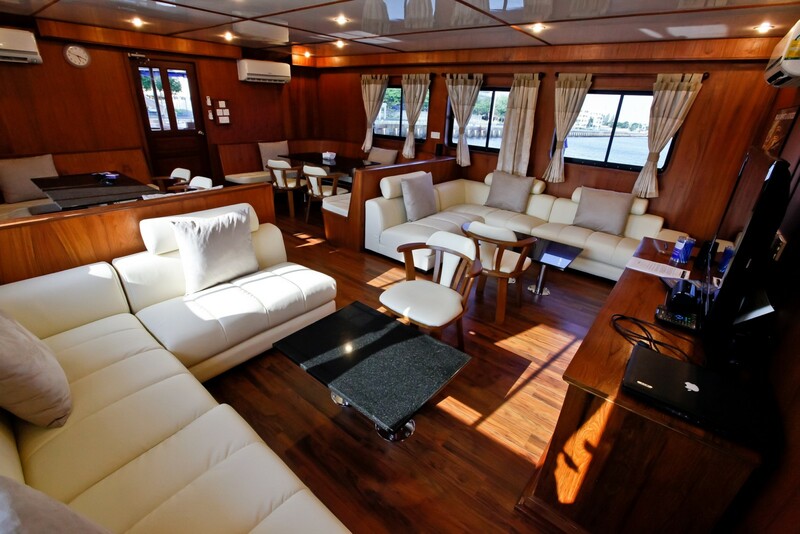 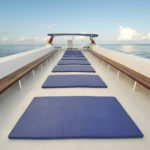 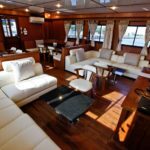 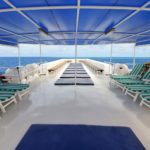 There is a large salon with a digital media center, sound system and widescreen plasma TV for your entertainment, an expansive sundeck that spans the length of the boat and a large outdoor dining area.